This post is part of our blog series that announces the publication of selected new books in African American History and African Diaspora Studies. 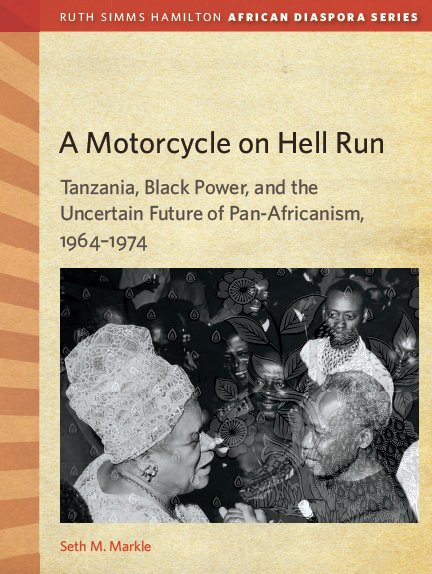 A Motorcycle on Hell Run: Tanzania, Black Power, and the Uncertain Future of Pan-Africanism, 1964–1974 was recently published by Michigan State University Press. The author of A Motorcycle on Hell Run is Seth Markle. Professor Markle is an Associate Professor of History and International Studies at Trinity College in Hartford, CT. He received his B.A. in Africana Studies and English from Tufts University (2000) and Ph.D. in History from New York University (2011). 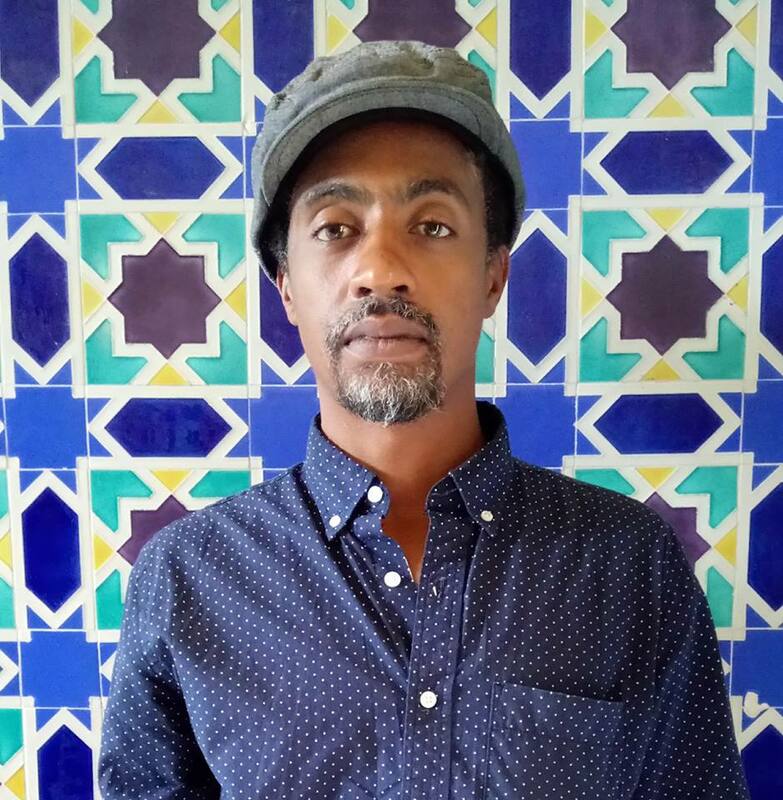 His research focuses on the histories of cultural and political exchange between Africa and the African Diaspora. His articles and chapters have appeared in The Black Scholar, Biography, and Politics of African Anticolonial Archive. Currently, he is editing an oral history of hip hop in Tanzania and collaborating with the Hartford History Center at the Hartford Public Library on creating the “Hartford Hip Hop Digital Repository”, an online resource for students, teachers, researchers and the general public. Since 1998, Seth Markle has worked on social justice causes in various communities, including Boston, MA (USA), St. Helena Island, SC (USA), Dar es Salaam and Arusha (Tanzania), Nairobi (Kenya), Atlanta, GA (USA) and Hartford, CT (USA). He has sought to pursue his interest in youth organizing by serving not only as researcher and teacher but also as a journalist, radio show producer and host, arts educator, event planner, documentary photographer, and curriculum development consultant. Follow Professor Markle on Twitter @prof_markle. Between 1964 and 1974, Tanzania came to be regarded as a model nation and a leading frontline state in the struggle for African liberation on the continent and beyond. During this time, a number of African American and Caribbean nationalists, leftists, and pan-Africanists traveled to and settled in Tanzania to join the country that many believed to be leading Africa’s liberation struggle. This historical study examines the political landscape of that crucial moment when African American, Caribbean, and Tanzanian histories overlapped, shedding light on the challenges of creating a new nation and the nature of African American and Caribbean participation in Tanzania’s nationalist project. In examining the pragmatic partnerships and exchanges between socialist Tanzania and activists and organizations associated with the Black Power movements in the United States and the Caribbean, this study argues that the Tanzanian one-party government actively engaged with the diaspora and sought to utilize its political, cultural, labor, and intellectual capital to further its national building agenda, but on its own terms, creating tension within the pan-Africanism movement. An excellent resource for academics and non-academics alike, this work is the first of its kind, revealing the significance of the radical political and social movements of Tanzania and what it means for us today. Julie Hawks: Please tell us a little bit about how you produced this book. What were your source material, intellectual approaches, and writing style? Seth Markle: I am interested in the study of the African diaspora, specifically how Africa is historically imagined as an ancestral homeland for Black people due to the trans-Atlantic slave trade. In producing a book about a transnational history, I had to conduct archival research in multiple countries, including the United States, Tanzania, South Africa and Trinidad and Tobago. I also interviewed Tanzanian, African American, and Caribbean intellectuals, activists, and government and party officials who actively participated in this particular pan-Africanism movement. I find that as a unit of analysis, diaspora opens up an avenue to look beyond national-bounded histories to study the convergence of diverse peoples and ideas-in-travel and to examine the individual and collective agency exercised within interconnected and disparate political movements. Because of the rise of newly independent states in Africa, the post-World War II moment renewed and refueled diaspora articulations of returning “home” on unprecedented levels, making this era rich in archival evidence, oral histories, and “hidden” stories of struggle and personal transformation. To highlight the importance of Tanzania’s national independence to world history, I put forth a chronological and thematic based narrative that focuses on the parallel and conflicting visions of liberation and solidarity that came out of varied encounters and collaborative projects between Black radical activists and organizations and Tanzanian one-party state institutions. Taking cues from the work of Africanist historians who engage with diaspora studies, I also pay close attention to how the concept of the African diaspora informed the behaviors, attitudes, and actions of African nationalist leaders, party members, students, and workers from the perceived “homeland.” Rather than simply treat Tanzania as a site of relocation for Black radicals, I concentrate on the influence of these homeland representations on the construction of Tanzanian national identities. The shifting and strategic ways the Tanzanian government embraced a homeland identity are critically addressed throughout the book to fully capture that ever-constant interaction and tension between a diaspora and its homeland. Julie Hawks is a Ph.D. student at American University where she focuses on how Americans remember and commemorate traumatic events related to slavery, war, and labor. Her research interests include the politics of memory, antiracism, material culture, and anti-communism/anti-New Deal campaigns. Follow her on Twitter @justjuliehawks.